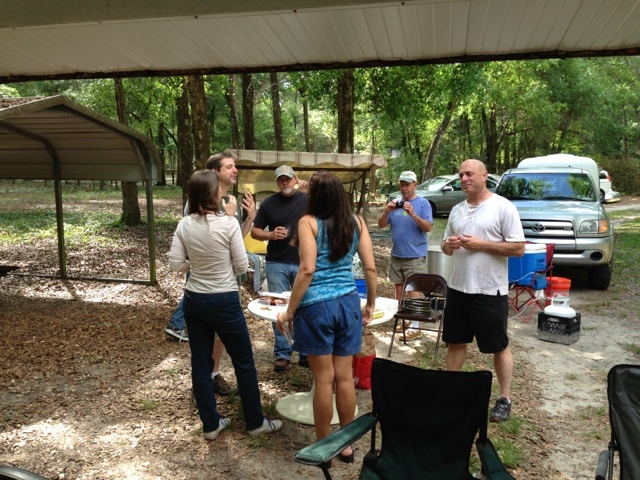 Last weekend I had the pleasure of joining several other beer enthusiasts for a brew and bottle share with Peter (@TomokaBrewer) and Jen (@JenHawk78) of the soon-to-open Tomoka Brewery. 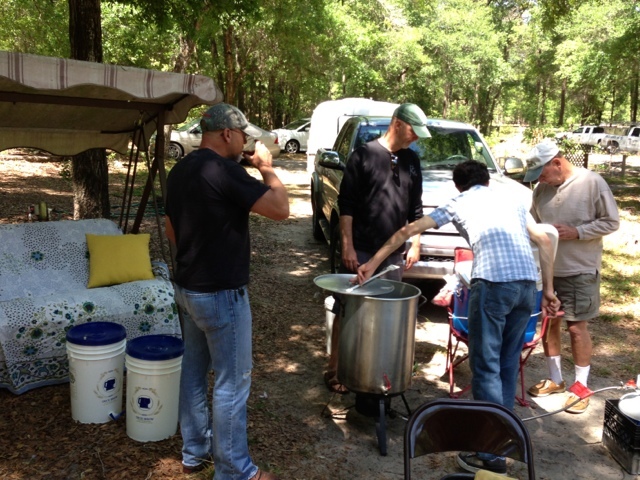 The two were nice enough to open their home, or "farm" as they call it, to about 20 Florida beer enthusiasts, homebrewers, and bloggers. 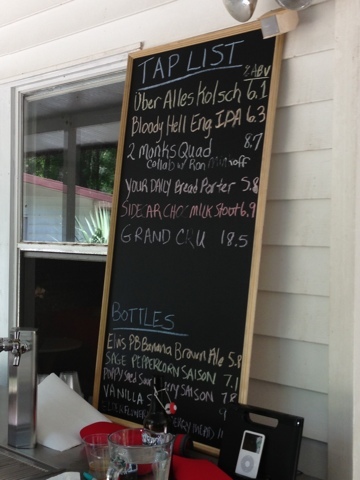 The day was marked with some fantastic brews, several of which were on tap (nicely advertised on their outdoor chalkboard tap list), and the rest came in the form of a bottle share. 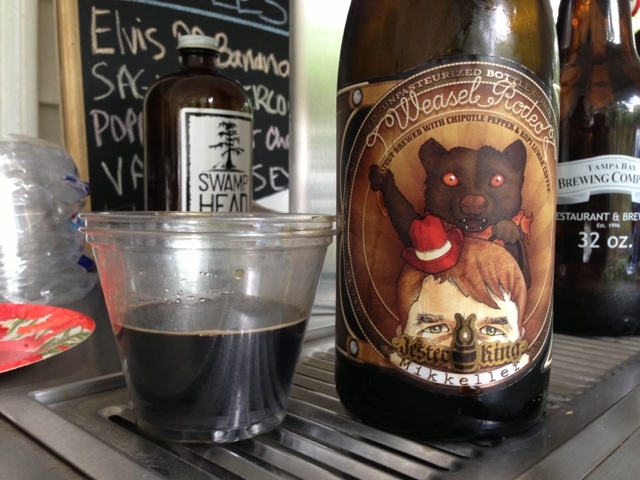 What good gathering doesn't include a bottle share? Not one that I've been a part of! I tried to take as many pictures as I could throughout the day. Enjoy! The Elvis PB Banana Brown Ale is out of this world! For me, it was a great time to meet several people from Twitter whom I had yet to meet in person, and plenty of others I already knew, but just don't get to see often enough. 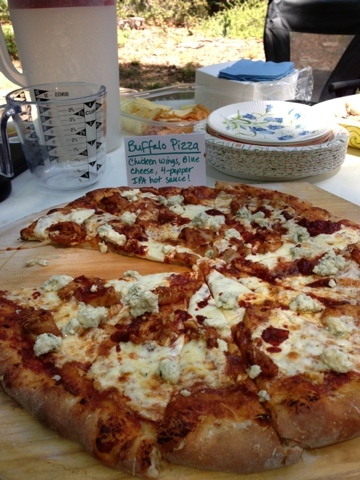 Almost as special as the beer, was the food that Jen cooked from the menu that will soon be found in their brewpub. 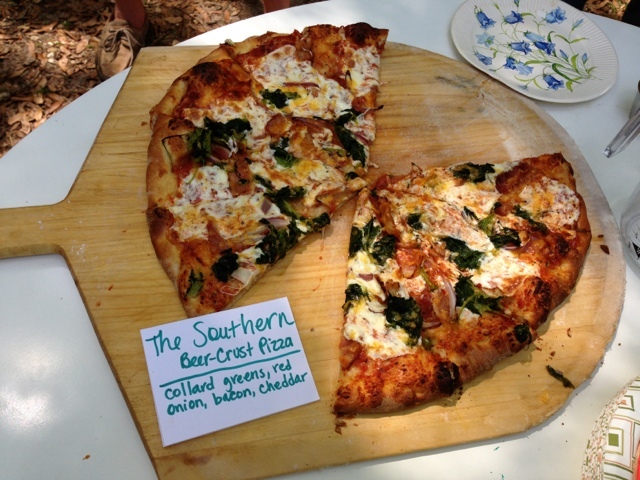 We were served two pizzas: a Buffalo Pizza and a Southern Pizza (yes, that IS collard greens you see on that pizza!). The IPA Hot Sauce was phenomenal! Great flavor and not too hot. This was my first time eating collard greens. Why aren't they ALWAYS served on pizza? I am not sure how it happened, but there were quite a few Texas based bottles from the likes of Jesterking and Freetail. Made me miss the Lonestar flag that hung in my classroom for the four years I taught in Houston.